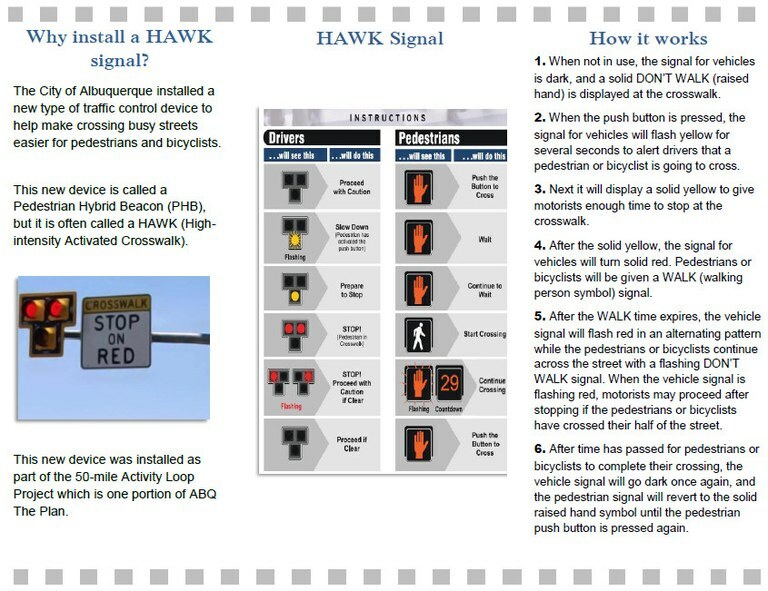 Information about the first High Intensity Activated Crosswalk signal in Albuquerque. 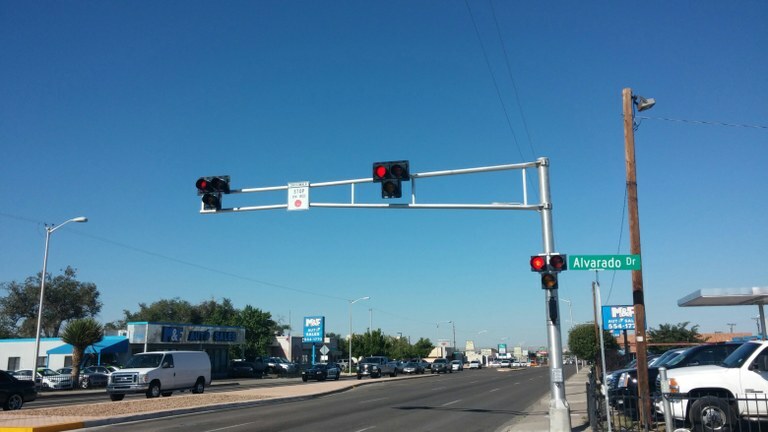 The City of Albuquerque is proud to announce that its first HAWK Signal -- or High Intensity Activated Crosswalk Signal -- has been activated. The signal, which is part of the 50-Mile Activity Loop, is located at Alvarado and Lomas. It will make crossing the street safer for pedestrians, bicyclists and motorists. The HAWK signal differs from other pedestrian signals in that it requires vehicles to stop and acts as a stop light when lit, creating a safer environment than a standard crosswalk.